Dennis O’Neill has died, and his family gather at the hospital as the priest prays for his soul. Whilst two sons try to remember how to mourn the dead, an older generation evokes the remorse and sense of loss of unwilling migrants from an indifferent Ireland. The Magic Hour is a darkly comic family drama set in a waiting room of a London hospital. He loved a good funeral. He would go to the funerals of people he didn’t know. He used to rate them. Mostly it was about how generous they were with the drink and how much singing there was. He always said the English didn’t know how to die. The Magic Hour was part of Write Now 4, and directed by Mark Leipacher. 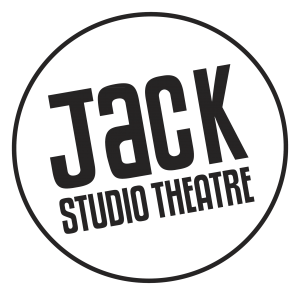 Martin McNamara ‘s first full length play, The Magic Hour, was produced as part of the Jack Studio’s Write Now 4 Festival in 2013. He has also had work performed at the Soho Theatre, Theatre503 and Cog ARTSpace in London. In 2014, he was invited to be part of the Royal Court’s writers group. Martin won the BBC Northern Ireland/Tony Doyle bursary for new writers. His feature length script, The Shy Russian, is under option with Future Films. He’s currently working on the script for a low budget thriller, Box 313, with London-based Spanish filmmaker Marc Gil. Martin was chosen to be part of the inaugural New Dramatists Club for emerging writers, run by Kitson Management, in 2014. His TV screenplay Krim was a finalist in last year’s BBC Scriptroom 5 competition, out of more than 1,300 script entries. Martin is also a freelance journalist and radio producer who makes programmes for BBC Radio 4, including writing and presenting last year’s documentary From Inside: The Guildford Four. Read an extract from The Magic Hour by Martin McNamara here. All rights reserved and the extract is copyrighted.